Tea Mak is an expression of love, culture, diversity and an embodiment of beauty from within. She attended college at Northwestern, she is a proud full-time mother, and happily engaged. Tea was a red carpet VIP host for Celebrity Apprentice, Beverly Hills Films Festival, Powerplayer Magazine and Eva's Longoria's charity, Rally for Kids with Cancer. She worked as a Hollywood actress, and appeared in Without a Trace and several episodes of Entourage. Tea has consulted numerous companies how to build, increase sales and develop a strong brand. She's been a part of 7 startups and the Founder and CEO of Miss Global, an international pageant, and the Miss Global Foundation, where their mission is, preparing the next generation and the world's future, one day at a time. Through her personal testimony, Tea helps empower women, children and communities to develop, educate, and encourage sustainable living worldwide while working diligently to live out the mantra "do more for others than they can do for themselves." Today you will find out what Tea Mak has done with her life after a traumatic childhood! It is a remarkable story. In 1975, a war began in Cambodia. It was the largest genocide since the Holocaust. An estimated 3+ million people were killed. The Khmer Rouge dominated for years to follow. In 1981, Tea’s mother fled to Thailand, where Tea was born in a refugee camp. From the moment she was born, weighing less than 4 pounds, Tea required a fight to survive. She almost lost her life 3 times as a baby, before turning 1. 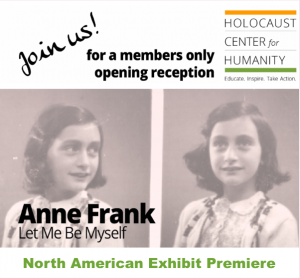 The Holocaust Center for Humanity will be exhibiting the North America Premiere of the Anne Frank – Let Me Be Myself Exhibit. The Fellowship Committee has organized a personal tour for our Club on Sunday, March 18th – 11:30am. The exhibition shows the story of Anne Frank from her birth in 1929 up to her death in the Bergen-Belsen concentration camp in 1945. 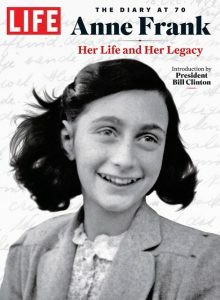 Anne Frank is a Jewish girl who has to go into hiding during World War Two to escape from the Nazis. Together with seven others she hides in an attic area of a home in Amsterdam. After more than two years in hiding they are discovered and deported to concentration camps. Anne’s father, Otto Frank, is the only one of the eight people to survive. After her death Anne becomes world famous because of the diary she wrote while in hiding. Space on our tour is limited – please RSVP as soon as possible. The Holocaust Center for Humanity is located at 2045 – 2nd Avenue, Seattle. Annual Retreat - May the Fourth be with You! Mark your calendars – our Retreat is coming! 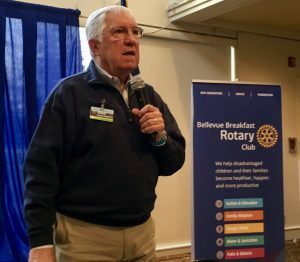 Dennis Newell calls our Rotary members to action for our annual Retreat (4-5th May 2018) to be held in Leavenworth. 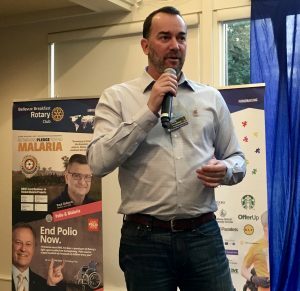 Tons of opportunity to have fun, fellowship and to build out our plan for 2018-19 Rotary year with President-Elect Chris Boland. There a great agenda being pulled together that includes golfing, wine tasting, dinner and planning for our club’s continued success. More information will be coming from the Retreat Committee. Stay tuned and sign up for what will be a tremendous fellowship event. 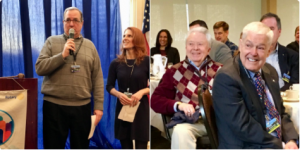 Our Membership Committee (Tim Leahy and Wendi Fischer) launch a skit to highlight the value of Rotary membership and the importance of adapting with the times to encourage youthful participation. Let go of fax machines, embrace social media and leverage our wisdom! We are in a drive to secure the next generation into our club’s activities. 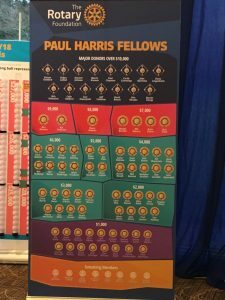 With our culture and values, our club has a lot to offer in terms of support and experience for the next generation of community minded leaders! Also, we have a chance to beat out Mercer Island this year with growth, so let’s get it done! 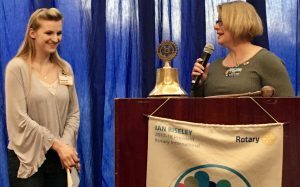 Congratulations to Savannah Cullen from Bellevue Christian School – she is our January’s Rotary Student of the Month. We wish her success in her future to be a storyteller and English teacher. Her speech captured the attention of our club members, where we appreciated her gift for telling us her story. Well done to Laura Cosacchi for being Rotarian of the Month for February. 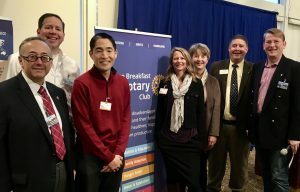 Laura’s work with our Forest Ridge Interact group has seen the group’s involvement with our Rotary project’s increase – a welcome involvement from our New Generations partners! This coupled with her dedication to supporting our club’s A/V needs every week, so that we have a great experience for our speakers, demonstrates her commitment to our Rotary cause. 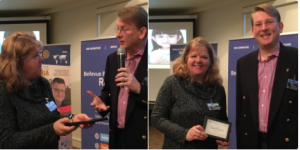 BBRC are thrilled to work Rotary clubs from Issaquah, Sammamish and our own District 5030 in securing $39,500 for a truck that will help Issaquah Food and Clothing Bank distribute food to our community in need. IFCB has 200 volunteers a week loading and unloading food and other items into and out of personal vehicles and one small van that IFCB owns. Because IFCB provides perishables, IFCB is limited to the amount of people it can serve and the communities it can reach. That is Rotary in action! 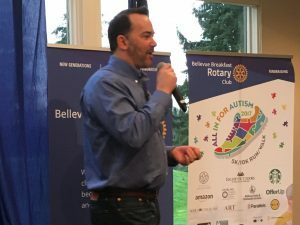 Chris Boland – this years All in for Autism 5K/10K Family Walk/Race Director gave the Rotary members an update on the club’s fund raiser. He put out a call for volunteers and promotion for the event from members. We want every member to reach out to their networks to help us secure runners, sponsors and volunteers. Without this event, we cannot do the amazing work that we do with our local community thanks to the funds we raise from our All in for Autism event. Click on the yellow button to learn more. Anyone should be able to walk a mile. Anyone should be able to walk 3 miles. In the spirit of getting fit, i encourage you to get out and walk. 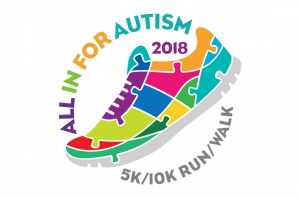 and while you are at it, we invite you and your friends to sign up for our All in for Autism 5K Walk/Run, 10K Run and Kids Dash on Sunday April 29, 2018. See you there! Just a FYI . . . The Holocaust Center for Humanity will be featuring an exhibit – LET ME BE MYSELF: THE LIFE STORY OF ANNE FRANK. (March – May 2018). See Link for details. This exhibit is world renowned and is making limited stops in the United States. Dee Simon, Executive Director of the Center was our guest speaker on January 26th.